Last week I shared Governor’s Mansion Cookies with you as part of FoodBloggers4TX. When the group was created we had no way of knowing that Hurricane Irma was going to batter the Caribbean and Florida right before we shared the post. Not wanting to leave those suffering from Irma out, it was nearly immediately decided that #FoodBloggers4FL needed to happen, as a way to let Florida residents know we are thinking of them and share with our readers reputable charities they could donate to if they so chose. Irma was a little more personal for me than Harvey was. I don’t really know anyone in Texas, but I know quite a few people in Florida. Both of my brother in laws are in the Tampa area and decided to stay and ride out the storm. My aunt and uncle are snowbirds and have a house in Fort Myers. They usually head down to Florida in October, but decided they’re staying through the holidays this year. The Florida Keys were hit particularly hard and while I have never visited there, it is a place I’ve always wanted to go. In honor of the Keys, I decided to make a recipe using key limes. A dairy-free milkshake made using coconut milk ice cream and key limes, creating the flavors of a key lime pie. 1. Crush graham crackers into crumbs. Set aside ½ cup. 2. Add ice cream, milk, remaining graham cracker crumbs, key lime juice and zest to a blender. 3. Blend until combined. Pour into two large glasses and top with a lime wedge and graham cracker crumbs. 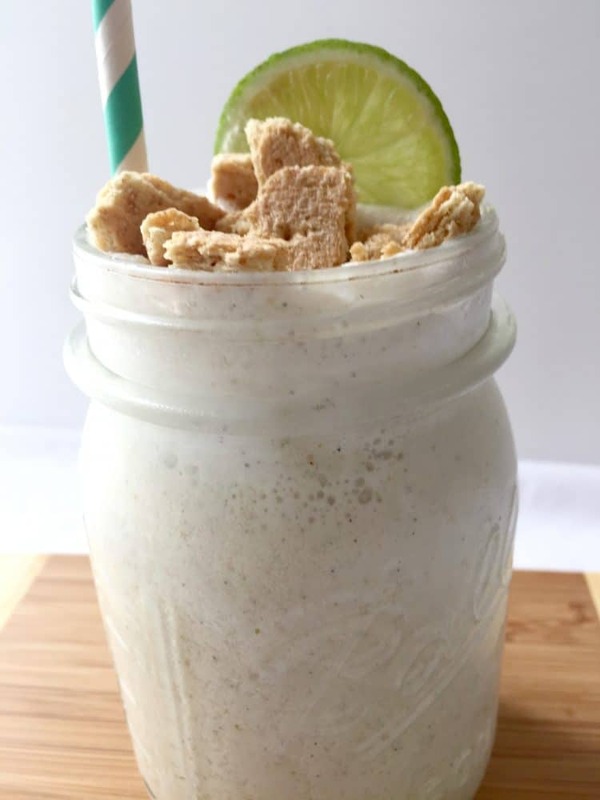 Seeing as I’m lactose-intolerant I made my milkshake using dairy-free coconut ice cream (there wasn’t any vanilla at the store) and coconut almond milk. 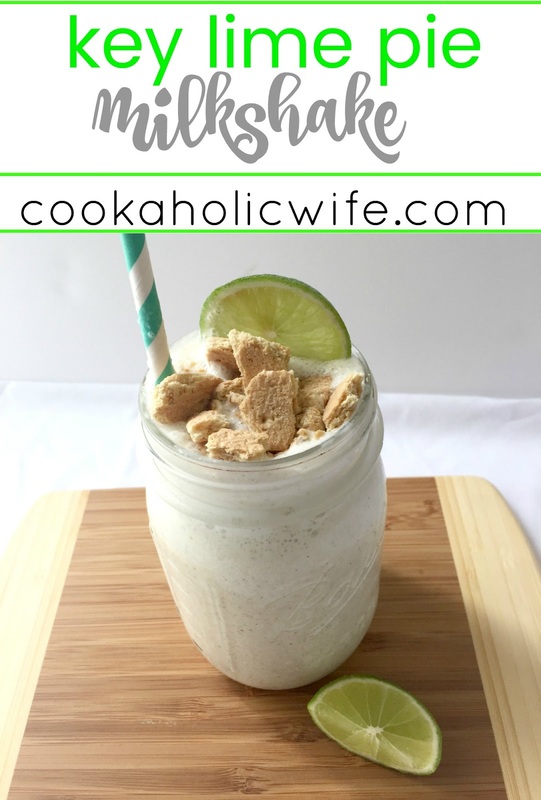 Coconut and lime go perfectly together and this milkshake was no exception. While the temperatures here haven’t exactly cooled off, school is back in session and the pools are closed so summer is definitely on its way out and this little taste of summer was perfect for someone like me who hates the thought of the upcoming cold winter months. LOVE the milkshake idea! What a perfect way to get the taste without making a whole pie! This really looks tasty! And with the heat wave we have coming this weekend, it would be the perfect way to cool down! I am always ready for a milkshake and this one sounds fantastic. I have never been to the keys either, but would love to go. Now at least I can have a taste of it until I get the chance! This looks so good! It must be so refreshing! Thank you for raising awareness for this worthy cause! Yum! I could drink this up right now. I wish I had one of these right now! 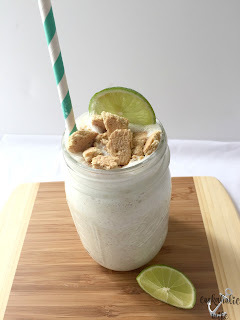 I'm a sucker for milkshakes and I think I would definitely use the coconut ice cream in the shake – yummy! This is a great recipe for this worthy cause Nichole.